I have several friends that NEED gluten-free diets for their family. They have always had a hard to preparing with limited options open to them. 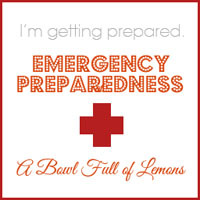 Now they can have the peace of mind knowing that they can be prepared for any emergency with gluten-free foods. The THRIVE gluten-free food supply is ideal for anyone seeking a well-balanced, nutritious, and gluten-free option for long-term food storage. This package includes premium foods such as ancient grains like quinoa, millet, and amaranth and provides over 8,600 servings! Most foods have a shelf life of over 20 years. This THRIVE package contains 126 #10 (gallon-size) cans. In order to receive this sale price you must order through Thrive Sisters, you can not purchase this directly from Shelf Reliance. As an Independent Consultant I am allowed to get you the lowest prices possible and have products shipped directly to you from Shelf Reliance. Your can read the Shipping & Return policy. There are more packages available than listed here. If you find a package somewhere else and want to see if I can beat the price just contact me!